Winter 2019 Winter Mountaineering Courses in Scotland & The Lake District with Lakes Outdoor Experience. If you are interested in finding out what summer scrambling is like in winter, then get booked on to one of our winter mountaineering courses. You can either be guided by one of our Mountaineering Instructors or taught the skills to go off winter mountaineering for yourselves. Read on to find out what's on offer! 2019 Winter Climbing Course dates now available. We will be available to run winter climbing courses in The Lake District and Scotland from January 7th, 2019 right through until the end of March. The cost per day is typically £180.00 per day. Get in touch to book your great winter climbing adventure on some of The Lake District & Scotland's classic winter climbs with us! Winter 2019 Winter Skills Course offerings in Scotland and The Lake District with Lakes Outdoor Experience. Winter has arrived in the UK. There is already a good covering of snow on the mountains of Scotland and conditions will only get better however snow & ice in the mountains bring with them new hazards which hill walkers need to be equipped to deal with. You'll learn all of the skills required to be better prepared to survive in a winter mountain environment on one of our two or four day Winter Skills Courses! 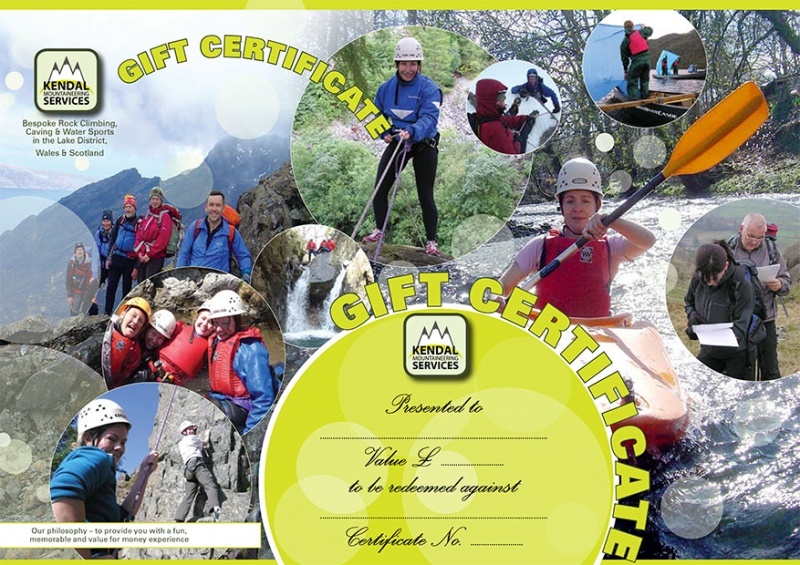 Buy them that special gift this Christmas with a Lakes Outdoor Experience Gift Certificate. Christmas is fast approaching. Undecided what to buy for that outdoor enthusiast? Then why not buy them an outdoor activity course or skills training course with one of our flexible Christmas Gift Certificates? This is an ideal way to buy a great Christmas gift for friends, family or that loved one who would really like to try an experience in the great outdoors! Our 2019 Weekend Navigation Skills Course Dates are now available! Here is the updated list for our popular Weekend Navigation Skills Training Course Dates to be run during 2019.